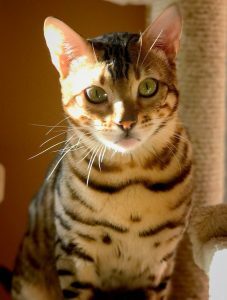 We are a Bengal Cattery conveniently located just north of Toronto, Ontario. We specialize in Brown Rosetted Bengal Cats (Brown Spotted Kittens!). All of our Bengal kittens are lovingly hand raised with no cages and freely roam our house like members of our family. Our cats are not “wild”; however, they are very active, love attention and love heights. 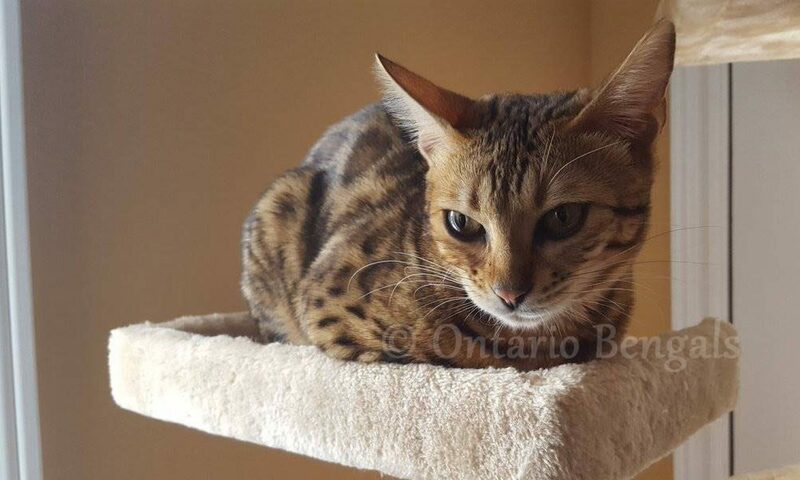 Every Ontario Bengal kitten gets lots of individual playing time and is highly exposed to children and other feline family members, so they are used to interacting with kids and other cats. We fully test our Bengal Studs and Queens and we guarantee our kitten’s health free from genetic diseases. All of our kittens come with TICA and / or CCA pedigrees as Pure Bred Bengals. 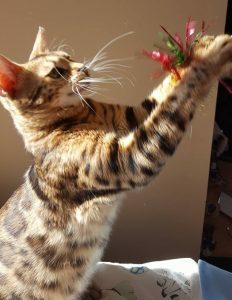 Shinobi is a pure bred Bengal cat, courtesy of Rideau Lakes Cattery. He is our big boy and is extremely loving and adores attention and being around people. Like all of our cats, he has free reign over the house and tends to rule the highest heights. Xena is courtesy of ZallyCatz Cattery. While she may be smaller than Shinobi, she more than makes up for it in swagger. A strong and firm but also tender, loving mother. We currently have no kittens available and currently no litters planned. Please reach out for more info or join our mailing list to receive contact when we have a litter in the future..